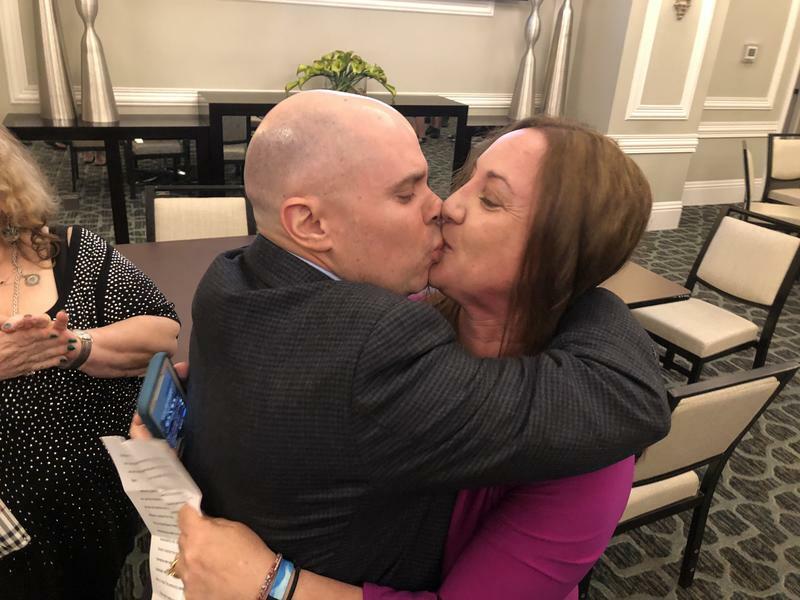 Ryan Petty, left, is now awaiting the results of a vote recount to see if his race with Donna Korn for a seat on the Broward County School Board will go to a runoff election in November. Lori Alhadeff, right, won her race to represent District 4. The race for an at-large seat in the Broward County School Board is still unsettled after Tuesday’s election. Ryan Petty, whose daughter Alaina was killed in the Parkland school shooting in February, challenged imcumbent Donna Korn for seat 8, which is a countywide seat. Korn took home 50.4 percent of the votes on Tuesday, while Petty took home 31 percent of the votes. But state law dictates that a result less than .5 percent over the majority calls for an automatic recount. The recounting of votes will begin Saturday evening and continue Sunday morning at the supervisor’s offices at the Lauderhill Mall. If Korn maintains her lead, then she’s automatically a school board member. If for some reason she falls below 50 percent, there will be a runoff in November. 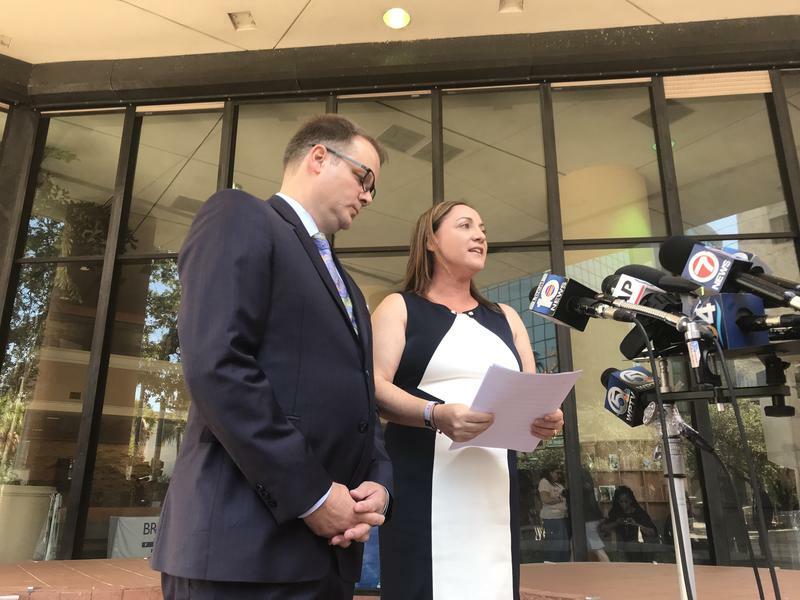 Sun Sentinel reporter Scott Travis, who covered the race, spoke with WLRN Friday about what the recount could mean for the future of the school board and the Broward County Schools superintendent Robert Runcie. The school board race has been viewed as a barometer of support for Broward Schools' Superintendent Robert Runcie in the wake of the Feb. 14 shooting. Some have criticized Runcie's indecisiveness about security features, such as agreeing to metal detectors and then deciding to delay the plans indefinitely. “Ryan Petty lost his daughter…[he] has been very dissatisfied with the way the school board has handled [the Stoneman Douglas shooting]," Travis said. "There’s a good chance that if he got elected, that he would probably vote to fire Robert Runcie." Meanwhile, Korn has supported the superintendent. A third candidate, Elijah Manley, 19, took home just over 18 percent of the votes, which was not enough to continue on in the race. A second Parkland parent, Lori Alhadeff, also lost her daughter in the shooting. She won her bid for the District 4 seat on the school board, which encompasses the Northwest portion of the county, including Parkland. But Travis said Petty's attempt to get county-wide support proved more difficult than mobilizing just the parts of Broward near Parkland. The mother of a Parkland shooting victim who campaigned on making schools safer was elected to the Broward County school board on Tuesday, as four incumbents fended off challengers — for now. Lori Alhadeff, who lost her daughter, Alyssa, at Marjory Stoneman Douglas High School, was elected to the open seat in the district that includes Parkland with 65 percent of the vote. That’s more than three times the support earned by each of her opponents. 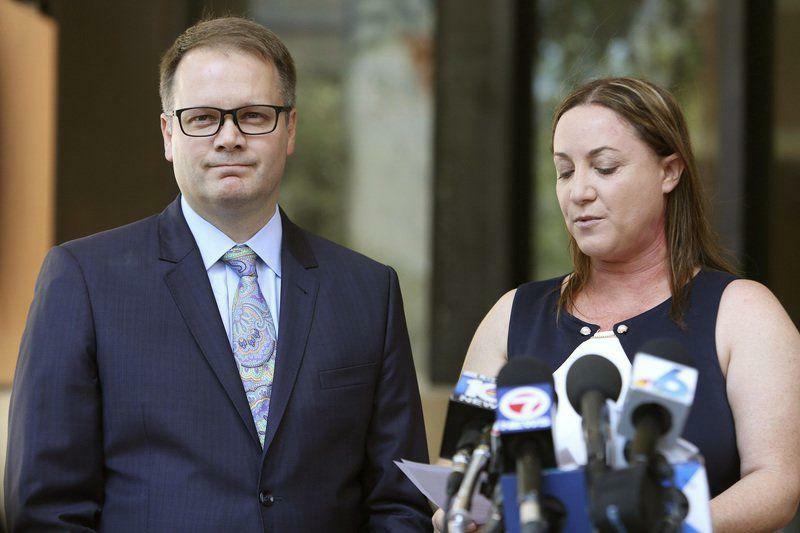 Two parents of Parkland shooting victims have launched formidable campaigns for the Broward County school board, and their efforts to overhaul the leadership of the nation's sixth-largest school district could be seen as a referendum on its superintendent. Five of the district's nine school board seats are on the Aug. 28 ballot. Currently, a majority of board members in Broward support superintendent Robert Runcie. But these elections could change that. Broward County school board races are usually niche affairs as passionate advocates futilely implore an indifferent public to care, even a decade ago when the nation's sixth-largest district was rocked by bribery and construction scandals. But February's massacre at Marjory Stoneman Douglas High School changed that as the parents of two victims and close friends of two others are vying for seats in Tuesday's election, pitting victims' families against incumbents and the teachers union and bringing out accusations of incompetence, lying, bigotry, and polling place harassment.